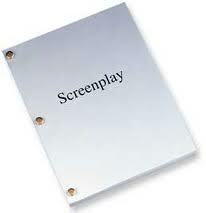 Writing, especially screenwriting, is a process. Never do you learn this more than when you create your own project. 2) Pre-production. Assembling the teams. Examination of the blueprint… will it hold? 3) Production. Everything comes together under duress. Coverage. You try to get it. Visual elements. You try to capture them and hope that the shot of the dead crow on the ground will bring cohesion to your story even though you just saw it and decided what the hell. 4) Post Production. Guess what? Nothing you shot or wrote makes sense! But you have an editor who, thank god, will make magic of your madness. Long story is, it is hard. Features are hard. Seven minute shorts are hard. Shorts, unfortunately, bring out the internet trolls. Turn away from them. Chances are, they’ve never taken the plunge in their lives. As hard as it is, as challenging… I say, to all of you that are thinking “What if?, ” GO FOR IT. You’ll learn how it works – that is invaluable. And you’ll really know how freaking hard it is for everyone, from director to dp to crafty. You’ll be humbled; you will learn gratitude. And each time you do this, you will learn it all over again. If you don’t, you don’t belong here. None of it is easy, and everyone works so hard to make a piece of art from your blueprint. And then you will go for it again, and realize that the lessons remain. Every project that you begin, you do as a babe, for every journey is different. This entry was posted in Today's Blog, Uncategorized and tagged Hollywood, Indie Film, writing. Bookmark the permalink. Anne, your description of the production process is perfect. Do you have a Casting Director to recommend who can help with a short film? Steve, I do. Email me at annelower at me dot com and I will get you two together!